It’s been a while since I’ve last made a post on my own blog. A bunch of school things have come up lately and I’ve been pretty strapped for time in doing anything to be honest. On top of trying to finish reading Grisaia, I’ve also been trying to clear off my anime of this current season. Sometimes I wish I could go back to my summer when I had tons of time to do these kind of things. Alas, school is school and I will be busy because of it regardless. Oh well, at least Little Busters! Refrain is also airing soon. 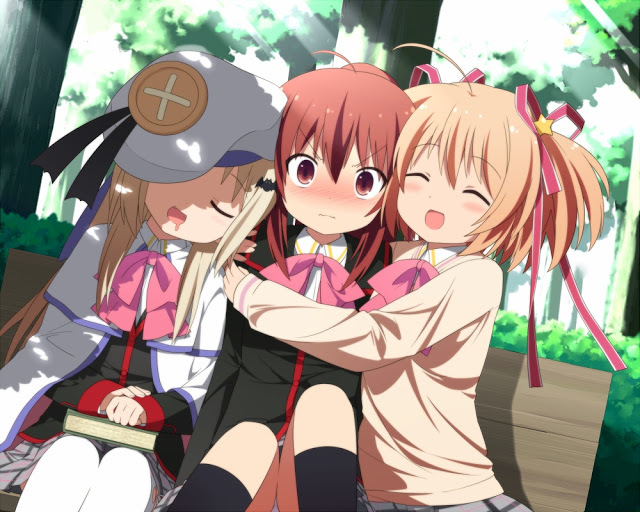 I can’t wait, so let’s leave a picture of Little Busters! here too.